When it comes to work, do you value purpose over salary? Growth over comfort? Do you want your leaders to empower rather than instruct you? Are you more comfortable with casual check-in conversations than a formal annual performance evaluation? Do you prefer to focus on your strengths rather than your weaknesses? Does your life take precedence over your career? According to William Strauss and Neil Howe—the authors credited with coining the term “Millennials”—the generation born roughly between 1980 and 2000 is globally conscious and civic-minded. They care more about community than personal advancement. This concern for larger causes has also earned them the sobriquet Echo Boomers. Generation Me author Jean Twenge and other critics question the altruistic traits Strauss and Howe associate with Millennials in Generations: The History of America’s Future, 1584 to 2069, finding them instead to exhibit a greater sense of entitlement and narcissism. Wherever you fall on the debate, there’s no denying Millennials are seeking something deeper from their work, and that is why employers that offer meaningful roles are more likely to secure the loyalty of job-hopping Gen Yers. Whereas past generations aimed to land a good-paying job where they could climb the corporate ladder over the course of their career, Millennials are likelier to switch jobs in search of more gratifying opportunities. The Gallup report reveals that 6 out of 10 Millennials express a willingness to change jobs, and as many as 21 percent have changed jobs within the past year—triple the number reported by other generations. Generation Y job-hopping costs the US economy an estimated $30.5 billion. That fact combined with their lower workplace engagement—only 29% are engaged, Gallup says—make it imperative for organizations to find ways of appealing to Millennials. Prioritize purpose over pay. Fair compensation is important, but meaning matters more. Gen Yers would rather work at a job that pays less but makes them feel they are contributing to a good cause and helping the larger world. Unless your Millennial employees feel inspired by the mission of the organization, connected to the culture and creatively challenged by their responsibilities, they’re going to seek out more fulfilling jobs. Offer development opportunities. Millennials want to grow both personally and professionally. They’re less interested in perks like pool tables and espresso machines than in learning new skills and acquiring knowledge. Be a coach—not a boss. This shift from an autocratic leadership style to a collegial, empowering one benefits not only Millennials but all employees. People automatically become more engaged when leaders recognize and develop their strengths, making them feel more valued while helping them become better individuals. Converse rather than assess. Reared on social media, Generation Y takes a more casual approach to communication. They don’t want to wait a year to get feedback during a formal annual review—they desire ongoing discussions so they constantly know where they stand and how they can improve. Focus on strengths instead of weaknesses. Rather than dwelling on weaknesses, discover your employees’ strengths and cultivate those talents. Gallup notes, “weaknesses never develop into strengths, while strengths develop infinitely.” That’s not to say organizations should pretend the weaknesses don’t exist. A leader who understands their employees’ abilities and flaws can redefine individual roles to minimize weaknesses and maximize strengths across the collective whole. Create jobs they love. More than previous generations, Millennials identify their work with their lives. They want to know they are spending their hours wisely and doing fulfilling work at a company that appreciates them as human beings. By understanding the work and life goals of Gen Yers, you can attract the brightest young stars to your organization—and keep them there. Unattached, connected, unconstrained, and idealistic, Millennials will flourish in a culture that treasures their strengths, gives them a sense of purpose and drives them to be their best selves. 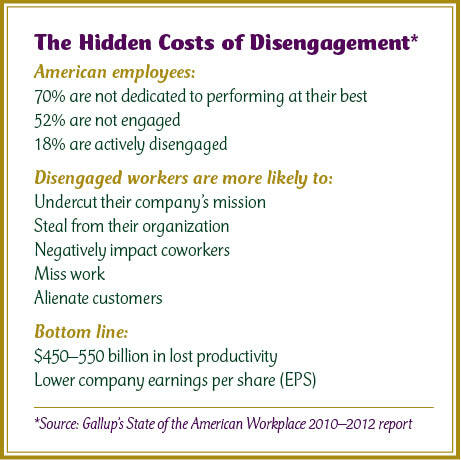 There are half a trillion reasons why every American should care about employee disengagement. They’re called dollar bills, and that’s how many the US economy loses annually because of the 20% of discontented employees who undermine workplace productivity, according to Gallup’s 2013 State of the American Workplace report. That counterproductive 20% is abetted by the 50% of apathetic employees who simply punch the clock and then count the minutes until they can punch out. What about the remaining 30%? Those are the lonely few who are dedicated to doing the best job they can. And why do you think one-fifth of the American workforce is so discontented? You guessed it. Poor leadership. INSEAD professors of strategy and management; codirectors of the Blue Ocean Strategy Institute in France; and Blue Ocean Strategy authors W. Chan Kim and Renée Mauborgne offer some fresh ideas about how to reinvigorate the dispassionate 70%. They wrote about their findings in the May 2014 issue of Harvard Business Review. Originally designed as a marketing model aimed at converting noncustomers into customers, Blue Ocean Strategy translates surprisingly well to the workplace. Viewing leadership from this new perspective, Kim and Mauborgne realized the fifth of disengaged employees represent the leaders’ noncustomers. That’s when they decided to apply their marketing strategy to building employee engagement—with stellar results. Think about leadership as a service employees either buy or don’t buy. What can turn those non-buyers into loyal customers? According to the authors’ hundreds of interviews with managers and employees over the past decade, the following leadership approaches can help trigger the conversion. 1) Focus on acts and activities. Instead of worrying about what kinds of people leaders should be, concentrate on what actions they can take to boost employee motivation and productivity. Actions are not only easier to change than personality traits, but they are also more measurable. 2) Tap into market realities. Translated to the workplace, this means asking employees what leaders are doing wrong as well as what they could start doing to inspire employees to thrive. 3) Distribute leadership across all management levels. Often organizations focus on executive leadership, but it’s the middle and frontline managers who tend to know employees better. By distributing leadership responsibilities across the top, middle, and frontline managers, organizations can access a deep well of often-untapped talent, thus enhancing engagement across the organization. 1) Recognize your leadership reality. You have to understand where your leadership stands before you can plot a strategy for improvement. By using analytic visuals called As-Is Leadership Canvases, organizations can assess employees’ perceptions of how the top, middle, and frontline managers spend their time and energy. A cross-section of 12–15 respected managers leads this companywide conversation, with three subteams each focused on a different level of leadership. The team then compiles Leadership Profiles after a month to six weeks’ worth of interviews. These profiles identify the 10–15 dominant leadership acts and activities at each level based on how frequently they were mentioned during the interview process. The As-Is canvas charts these factors on the horizontal axis of the grid, while the degree to which leaders practice them is registered on the vertical axis. Typically, 20 to 40% of the acts managers tend to practice offer little value to employees, while on the flipside, 20 to 40% of the acts employees consider valuable are underpracticed by managers. 2) Develop alternative leadership profiles. a) Eliminate wasteful acts and activities. b) Reduce not terribly beneficial acts and activities. c) Raise existing beneficial acts and activities. d) Create new beneficial acts and activities. This grid is used to draft two to four possible To-Be Leadership Profiles. 3) Pick To-Be Leadership Profiles. These aspirational leadership profiles are then presented at a “Leadership Fair” by the subteams. Participants include top, middle, and frontline managers as well as board members. The original senior team presents the As-Is canvases, establishing the need for change. This is followed by the subteams’ presentation of the To-Be profiles for each management group. The attendees vote on their favorite leadership profile, and the senior executives then ask attendees what prompted their votes. 4) Institutionalize new leadership practices. The selected To-Be profiles are distributed to the top, middle, and frontline leaders, and meetings are held to discuss the actions that should be eliminated, reduced, raised, and created. Monthly follow-up meetings document employees’ feedback on their managers’ progress toward the new profiles. This routine check-in reinforces the desired changes and encourages accountability. The principles of fair process—engagement, explanation, and expectation clarity—govern the four steps of Blue Ocean Leadership. Employees and managers at all levels feel ownership in the process, thus overcoming resistance to change and creating a sense of buy-in. Crucially, fair process fosters trust across the organization. Are you ready to try out Blue Ocean Leadership at your organization? Contact me at 541-601-0114 or chris@capiche.us to start the conversation today. See the Blue Ocean Leadership website for more details. There’s a lot of buzz about the significance of employee engagement—Forbes, Gallup Business Journal, and Harvard Business Review have all published articles on engagement just in the last three months. I, too, have examined the topic—most recently reporting on the Hay Group findings that highly engaged employees can quadruple a company’s revenue growth and generate 89% greater customer satisfaction. There’s no denying employee engagement matters, but it’s only one tessellating piece of a bigger jigsaw. Myopically focusing on engagement can obscure our view of the most reliable predictor of performance—you guessed it, happiness. As I explained in “Why Employee Engagement Trumps Employee Engagement and Job Satisfaction,” it’s possible for an employee to be highly engaged, but that doesn’t mean they’re happy (and when they’re not happy, they are most likely looking for a new job). On the flip side, however, happy employees always rank high on both engagement and job satisfaction. 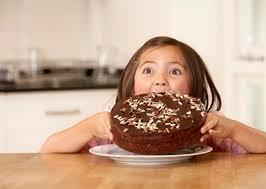 When companies shift their focus from engagement to happiness, they get to have their cake and eat it, too. Engagement is a good first step, and I believe in the importance of what’s measured in Gallup’s well-revered “Q12” engagement survey. 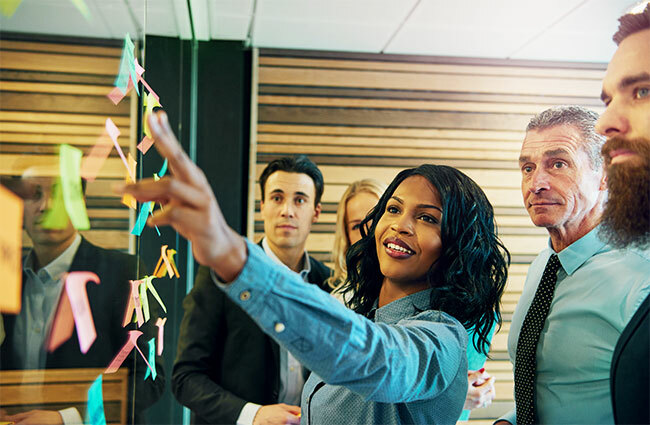 In the recent “Five Questions You Must Ask Your Team,” Stosh Walsh explains how organizations can boost engagement using Gallup’s Q12 engagement survey results. But why limit ourselves to one tree in the forest? If we strengthen the ecosystem, the tree will follow suit. 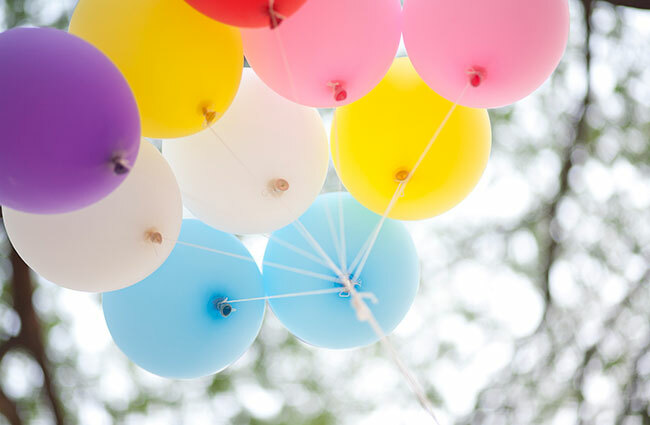 Happiness is the secret to enhancing not just engagement but also satisfaction, health, loyalty, and innovation—not to mention performance and productivity. Let’s instead consider what questions we can ask to help spread happiness at work. Fortunately, some really smart people like those at Delivering Happiness have already put tremendous thought and research into this question. Based on the New Economics Foundation’s dynamic model of well-being, their Happiness at Work survey is designed to do precisely that. The dynamic model of well-being measures four primary areas of happiness at work, each with its own matrix of four intersecting components: 1) experience of work, 2) functioning at work, 3) organizational system, and 4) personal resources. 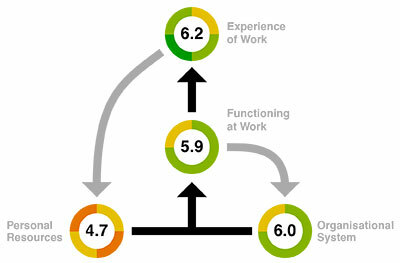 The survey assesses 40 factors to determine the organization’s and individual employees’ levels of happiness. How would you answer these questions? Take the free Happiness at Work survey to find out how happy you are in your work. Do you feel the results are accurate? I will be interested to hear your experience of the process!